Just as soon as I’d been remembering San Diego, there’s a Playgroundology post about a visit there! Next time I visit my family out there I am for sure going to The New Children’s Museum. Go look at that website right now! Here, as your reward, is a photograph of another playground car. This one is located at Haywards Adventure Playground, a place for disabled children (or children with disabilities, if you’re American) and their siblings in north London. An old, broken down car was donated and then the staff set about fixing it to the ground, securing the doors open and replacing the engine with fragrant, edible plants. 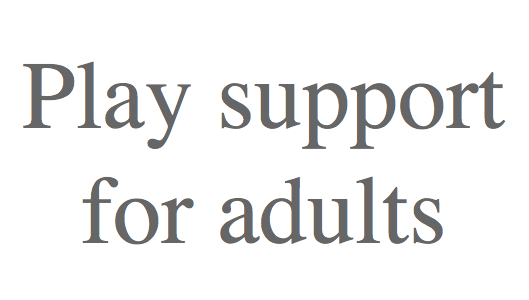 This early work was done by the adults, in preparation for children’s free and total use of it. The doors were wedged open with a ramp so that all the children could enter and drive the car. Half-sunken tires provided seating for those who wanted to watch. The sage and lavender created a sensory cloud, attracting a mix of children like butterflies. Choosing edible plants meant that the children could smell, tear and eat at the leaves – whatever they felt moved to do. The children were supplied with paints and markers and traffic cones to make it their own, if they choose. Glad you liked it! San Diego and La Jolla are so beautiful – you’ve just outlined a day just like many in my childhood. Glad to hear you’ll be returning, and who knows – I might even be around visiting family! Any thoughts on your next adventure? 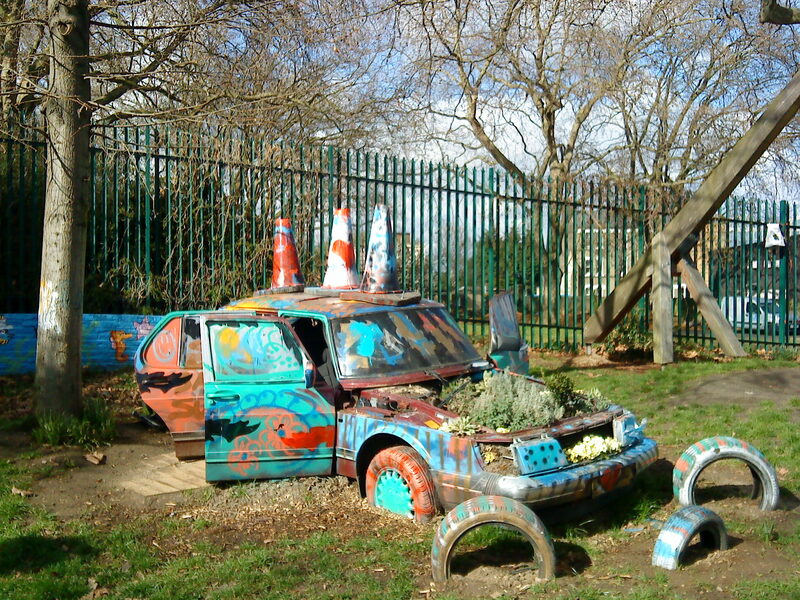 Our old family car, a London taxi, is part of a much loved structure on Homerton Grove Adventure Playground in Hackney. Will try to find a picture for you. Oh, that would be lovely! I remember that car, and getting driven around in it once. I’m so glad that it’s enjoying a new life at Homerton Grove! What have the children been doing with/to it? This car looks amazing, but I am slightly concerned about its safety… you don’t think the edgy parts of the structure can hurt children while playing? Also, some of these old cars used to have not really environmentally friendly materials, that could “get nasty” when contacting with the different type of soil for longer period. Otherwise I love the idea, but would like to hear more about how they make it more secure. Hello Tom! I can vouch for the staff’s attention to the edgy parts – lots of small pieces were removed and sharp edged were filed smooth very carefully. The doors were also fixed open so they couldn’t be slammed on unwary fingers, and the edible planting area in the bonnet was lined before being filled with soil so the sage and lavender etc was safe to eat. I’m afraid I don’t know about the other materials or the age of the car but will certainly bear it in mind for future projects! Thank you.